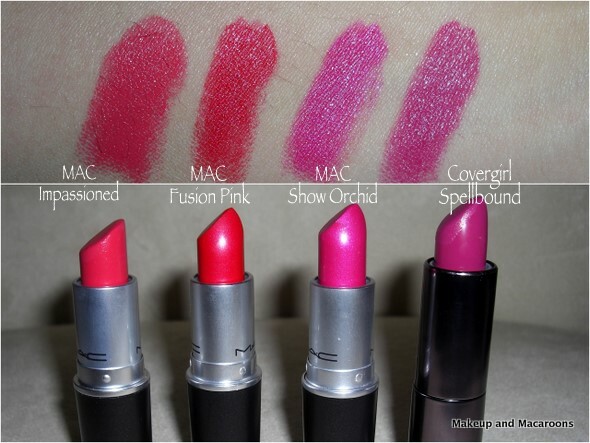 It's funny that this collection is MAC's 2011 Fall collection. Why funny? Because it's Spring in Australia. But some of the colours are versatile enough to be worn no matter the weather. When I saw a preview of this collection on Karen's MBB, I knew exactly which goodies I'd be getting. So instead of waiting for ages for the collection to hit Australia, I went straight to my favourite ebay seller and pre-ordered from them. The collection is already released in most countries, and in Australia it's currently only available via the MAC website which means it should be hitting the counters in the next couple of weeks. So, what could I not resist? This is a re-promote, and from the swatches I've seen of the previous version they've improved the formula, and gotten rid of the chunky glittery bits. Thank goodness! 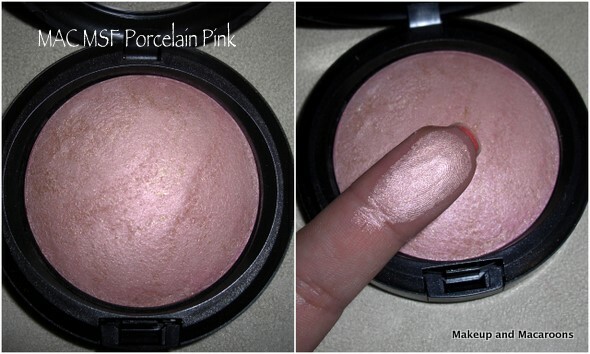 This is a lovely pale pink colour which I plan on wearing high on my cheek bones to give a gorgeous glow. This is actually from the permanent line, and is a pro colour in amplified creme formula. I don't know why it's called Fusion Pink as to me the colour is more watermelon red than pink. It reminds me a lot of Impassioned, and I have done a comparison at the end of this post. These are the closest dupes I could find in my collection. 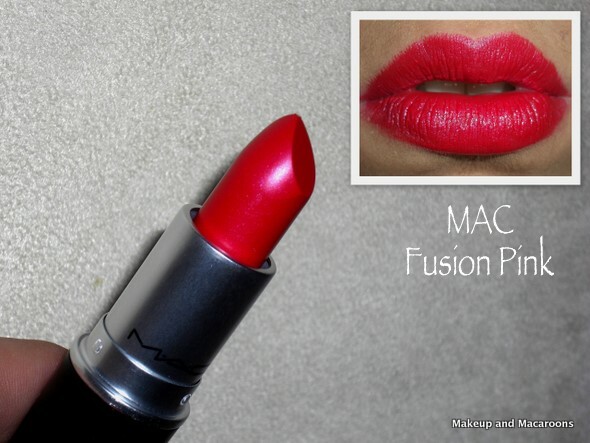 While at first glance they look similar, Impassioned is slightly lighter and cooler toned than Pink Fusion. And Covergirl Spellbound, while in the same tone as Snow Orchid, it is a shade or two darker than the MAC one. Have you bought anything from this collection yet? Has anything caught your eye? I'm loving all your bright lipsticks. They're all on my wishlist now. Oh pink fusion looks beautiful! The pink fusion looks super hot but is not pink at all :-) ...like the MSF too .. Snow Orchid is a nice colour! Beautysnippets - thanks hun, especially with the warmer weather hopefully on the way bright lips will be great! Heather - thank you, I can totally see you wearing this colour! Saumya - yep, agree, it's def more read in my opinion. Gorgeous Lilit! Your hauls are always so amazing. I need that blush in my life. The mac msf looks gorgeous! understand why you couldn't resist! I'm so in for highlight-product for now, and that light pink was to die for. Couldn't be wrong to have!!! The lipstick comparisons are amaaazing!Thanks heaps for that.. I really wanna get pink fusion.. It's such a pretty colour! And porcelain pink is stunning! Haute_style - thanks babe, I'm really excited about the blush too. 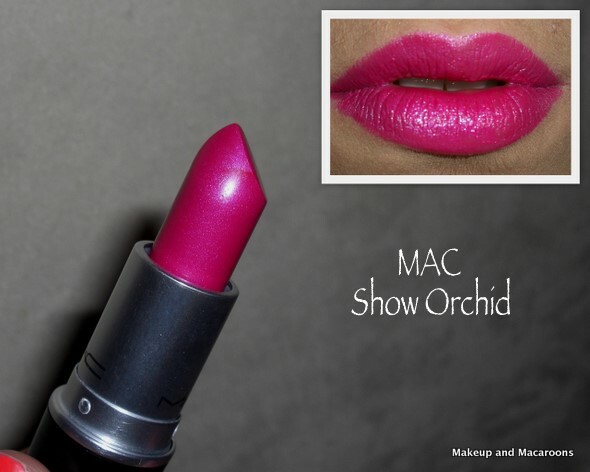 Summer Loren - impassioned is to die for, and i'm hoping I'll like show orchid just as much. MSodapop - I know, isn't it just? I can't wait to use it. Dani - Lightscapade is on my list too, but it's sold out everywhere here and I haven't even checked ebay, it's prob very expensive on there like Stereo Rose. Silhouette Scream - ba ha ha ha, ba ha haha, of course it's sHow orchid! ba ha ha ha. Thanks for correcting me, i've updated the post with the correct name. Ok, I will stop laughing now. EyeGraffiti - I'm definitely getting into my highlighters too, really looking forward to using the pink one. Delyteful Speaks - thanks hun, I know whenever I see gorgeous lipsticks I just need to see how they compare to my existing ones so I thought I'd show it for other lipstick crazies (ahem, you, ahem) like me. I won't lie. I haven't even browsed this line. The reason is shameful....but i'll share it. ~sob~ Have you seen the promo images for this line? I CAN'T GO NEAR THEM. I really love that pink shade and i wanted to try it out. Thanks for sharing!